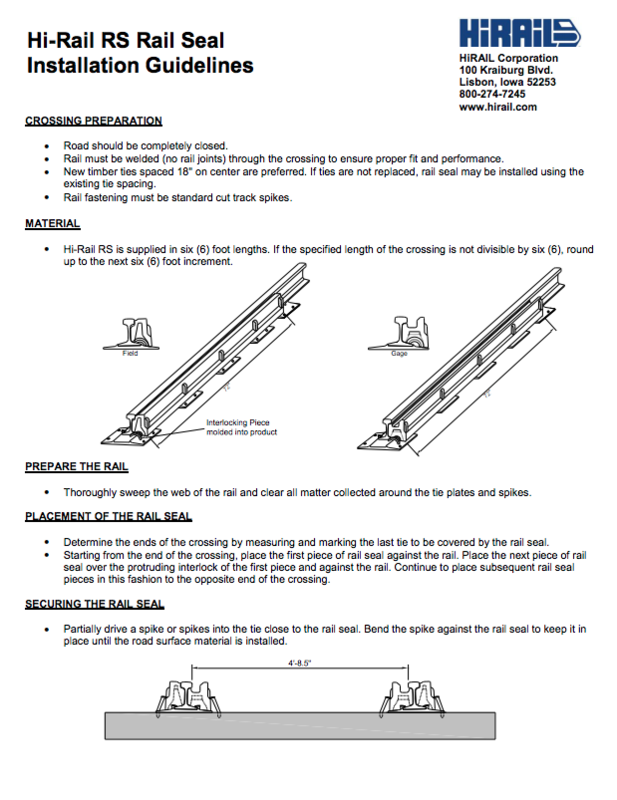 HiRAIL RS rail seal is made to enhance no-rubber crossing surfaces. It fits snugly against the rail on both gauge and field sides, sealing out moisture and debris that can lead to asphalt deterioration and signalling problems. Our lightweight design snaps easily into place before asphalt is laid, without special equipment. Affordable HiRAIL RS flexes where asphalt can’t for substantially longer crossing life. Keeping asphalt crossings looking good is a tough job. Especially under high traffic conditions. But HiRAIL RS can take the pressure. It’s the non-conductive, rubber rail seal that extends crossing life and reduces maintenance needs. The tight-fitting design eliminates gaps that can trap debris and cause signaling problems. So when the pressure’s on to keep your crossings looking good, put HiRAIL RS on the job.